Learn how and why prebiotics may be the perfect tool to finally break through your weight loss plateau! Have you ever considered using prebiotics for weight loss? If not, maybe you should! Here, our resident exercise physiologist and personal trainer breaks down why adding more prebiotics to your diet can fuel weight loss and which prebiotics he recommends trying out! Prebiotics are a group of supplements that help heal your gut – but did you know there are also prebiotics for weight loss? For a very long time, the advice I gave my clients was as simple as humanly possible. Focus on training hard and eating a diet built around lean proteins and a bunch of nutritious vegetables, and the results would come naturally. In fact, I still believe that if your goal is to make any type of weight loss specific change to your body, then this should be your first point of call. However, I no longer believe that it should be your only point of call. I had a number of clients who saw really good results from simply focusing on training hard and making those key changes in diet. But, I also saw a number of clients who didn’t quite see the degree of change I had come to expect. To be honest, I really couldn’t work out what was going on. 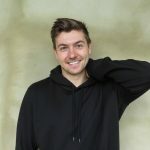 So, I started doing some research. I knew that maintaining the state of your gut was important from a global health perspective. But I didn’t quite realize that it could even have a real impact on your ability to lose weight — something that I really should have realized sooner. When I (finally!) managed to make this connection, I had a bit of a lightbulb moment. Yes, the changes above are integral — but if your gut isn’t allowing you to use the nutritious food you’re eating, then, of course, it all goes to waste. On the other hand, if you fix your gut so that it’s working at 100%, then the results should come pretty darn quickly. With this in mind, I started recommending prebiotic supplements to those clients who had a hard time losing weight as a way to help improve the health of their gut. These same individuals who had previously struggled to lose as little as a pound per month started losing something closer to a pound per week. I was genuinely embarrassed that I hadn’t come to this conclusion a whole lot sooner. Now, it is obviously important to note that these guys (and gals) were not only taking a prebiotic supplement. They were still making changes to their diet, and they were training very hard 3-4 times per week. But I truly believe that these supplements put them in a state that allowed them to reap the weight loss from all their hard work. And I am sure that they can do the same for you. How Might Prebiotics Help You Lose Weight? 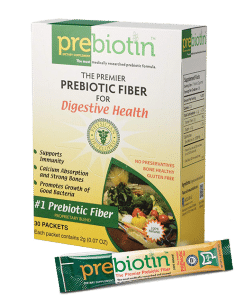 How Do Prebiotics Delay Gastric Emptying and Increase Satiety? How Do Prebiotics Reduce Inflammation and Improve Insulin Sensitivity? How Do Prebiotics Improve Nutrient Absorption? How Do Prebiotics Help Regulate Hormones? Do Prebiotics Help You Lose Weight? 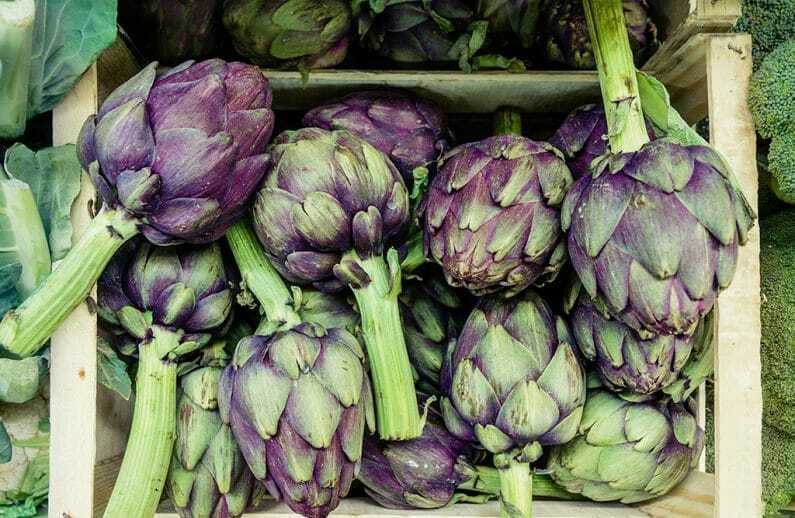 How Much Weight Can You Expect to Lose with Prebiotics? Which Prebiotic-Rich Foods are Best for Weight Loss? Which Prebiotic Supplements are Best for Weight Loss? I’ll try and keep this section as simple as possible! A prebiotic is any organic molecule that can boost the health of your gut microbiota. You see, your digestive system is literally full to the brim of trillions of little microorganisms (a rather unique combination of bacteria, fungi, and viruses). This collection of organisms is collectively known as your microbiota. Interestingly, your microbiota has been shown to have an incredibly complex relationship with your body. In fact, research has shown that the health of your microbiota can affect your digestive health, your immune system, and even what we’re interested in today: your weight! So, all this means that by helping keep the little organisms within your gut healthy and functioning to the best of their ability, prebiotics help keep your whole body healthier — which is obviously pretty important! Now, pretty much all prebiotic compounds researches know of currently come from dietary fibers. Fiber molecules are large systems of sugar molecules that are linked together. Interestingly, unlike other sugar molecules, your body cannot digest dietary fiber. As a result, it travels through your stomach and into your gut completely intact. Which is exactly where the magic starts to happen. Once prebiotic fibers make it to your gut, they are broken down and fermented by the gut bacteria that make up your microbiota. In doing so, your gut bacteria produce energy for themselves and, luckily for you, a number of important health-boosting compounds for your body (which is how they work their magic on the health of your whole body!). First, let’s delve into the more “physical” effects that prebiotic compounds can have within the gut. Because fiber is not really digested in the normal sense, it passes through the digestive system markedly slower than other sugar molecules. This slow movement can reduce the speed at which you digest all the other food you eat, meaning that it remains in your gut for longer. This is important because having more food in your gut for longer has the ability to make you feel fuller for longer, reducing your hunger signals throughout the day. As simple as it sounds, being less hungry during the day can lead to you eating (and weighing) less! I mentioned that when the good bacteria in your gut ferment fiber, they produce some compounds that are good for your body. 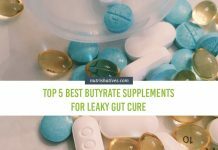 One group of compounds your gut bacteria produce is known as short-chain fatty acids (SCFAs), which, after production, are absorbed into your bloodstream and distributed throughout your entire body. SCFAs are pretty amazing for your health because they can slow the production and secretion of a certain group of chemicals known as pro-inflammatory cytokines. This makes them able to reduce inflammation and improve insulin sensitivity. Now, this is pretty cool for helping you maintain a healthy weight because if you are resistant to insulin then you are going to be more likely to have high blood sugar levels and to experience weight gain. So, by improving your sensitivity to insulin, prebiotics can increase your potential for weight loss! One of the main roles of your microbiota is to help you digest and absorb the food you eat. The better the state of your gut bacteria, the more capable it is of helping you free up and actually absorb vitamins and minerals from your food. Now, every single one of these nutrients play a specific and important role in your body and are therefore integral to your health. Certain vitamins (such as the B group Vitamins and Vitamin K) help regulate energy storage and energy metabolism. As such, their increased absorption can reduce any unnecessary fat storage by boosting your metabolism and improving your ability to break down and use fat for energy. Interested in learning more about how vitamins work to improve the health of your metabolism (and the rest of you)? Check out our Vitamin Guide! I have already described how SCFAs have the ability to help you lower inflammation, but that’s not all they do to help you lose weight. These little compounds also appear to help regulate the secretion of the weight-regulating hormone, GLP-1. GLP-1 is a key hormone that has three key roles within the human body that make it a weight-loss power-house. Firstly, it increases how full you feel after eating, helping prevent you from overeating. Secondly, it increases your body’s ability to breakdown and use fat for energy, making it easier to burn off fat you’ve already stored. Thirdly, it causes a direct increase in your energy expenditure, allowing you to eat the same number of calories while still losing weight. Through these unique interactions, prebiotics can cause pretty significant improvements in your ability to lose weight by regulating your hormone profile. Let’s start with the good news first! Through each of the key mechanisms mentioned above, it appears that supplementing with prebiotics can, indeed, have a positive effect on weight loss. 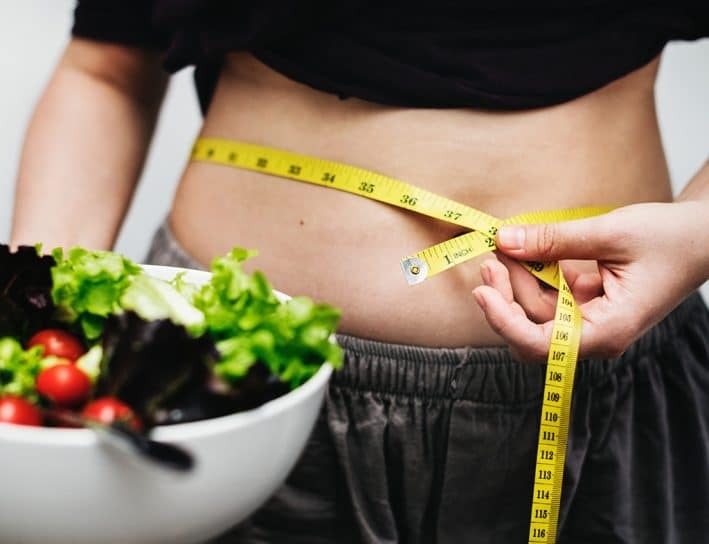 In fact, there is a growing body of research clearly demonstrating that the addition of prebiotic compounds to a normal diet can promote weight loss in both adults and children. Positively, this weight loss often comes with a marked improvement in metabolic health, which is pretty cool! While prebiotics can obviously help you lose weight, they will not do it all for you. I mentioned in the introduction how my clients saw much better results from their diet and exercise regime after they fixed their gut. In my mind, this is because the prebiotic supplement improved their body’s ability to lose weight. They then capitalized on this by eating well and exercising hard, which resulted in some pretty substantial weight loss. In short, they didn’t rely solely on the prebiotic to do it all. Which is a good thing, because while prebiotics alone can cause some weight loss, it usually isn’t a whole lot. In fact, a recent study suggests that supplementing with prebiotics without a change in diet and exercise results in about 1 kg of fat loss in 12 weeks. But once you add a healthier diet to prebiotic supplements, you can see more than 5 kg of fat loss over 24 weeks. That’s is more than double than that we would expect from prebiotic supplements alone. Then imagine if we combined that with exercise? I can assure you that the results would be more impressive again (even if we are waiting on some research to confirm it). Before I dive headfirst into my favorite prebiotic supplements, I wanted to briefly discuss some of the natural sources of prebiotics that you can add your diet. As prebiotics are simply fiber molecules, there are a number of foods that can be considered to be rich in “natural prebiotics”. These are mainly vegetables (which I recommend should make up an integral part of all my clients’ diets — and your diet — anyway!). 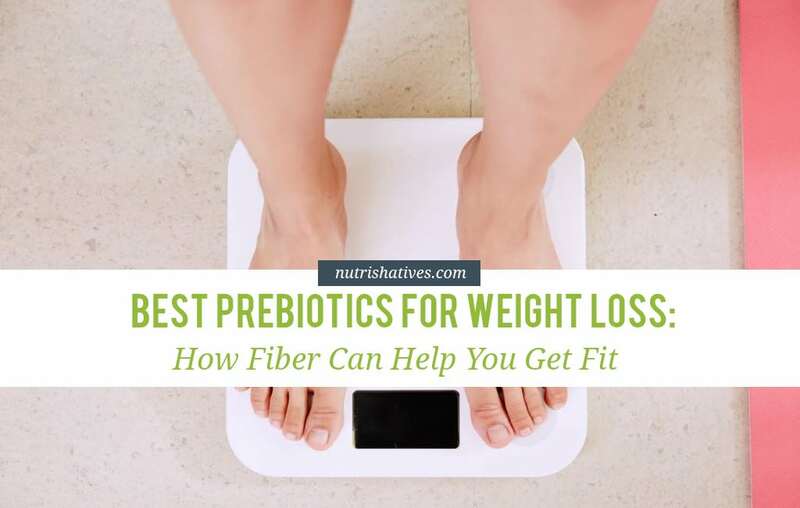 Just in case none of my favorite prebiotic foods strike your fancy (or if you want an even bigger prebiotic boost), I also wanted to give you five fantastic prebiotic supplements that you can use to help facilitate your weight loss journey, as well! 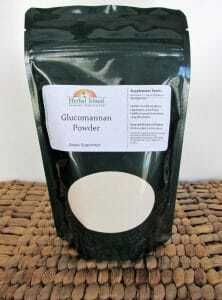 Coming in at number five on my list, I have this great prebiotic supplement by Herbal Island. This prebiotic comes in powder form, which mixes easily with literally any liquid you choose to throw it into! Using a recommended dosage of 4 grams (or 2 teaspoons for those of you playing at home) of pure glucomannan, you can be certain of both its safety and its effectiveness. And I should note that, with over 80% of all consumers on Amazon giving this product a full 5-stars, you can say with confidence that it has been well-received! 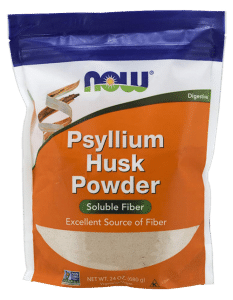 Strolling into number four on our list, we have NOW Psyllium Husk Powder. Like most prebiotic supplements, this great option comes in powder form and is made with the intent to mix it with any of your favorite liquids. NOW recommends a single tablespoon serving once per day (being the equivalent of 9 grams) in order to create lasting changes in your gut health — which, as we know, is the key to helping you along your weight loss journey! With over 1,000 reviews on Amazon (and 80% of those giving four stars or higher), this incredibly popular supplement has been very well received by consumers. Sliding into third place we have this great prebiotic supplement from Prebiotin. Slightly different to the other prebiotic supplements outlined on this list, this particular option comes in sachet form. You simply mix the sachet with warm water once per day and enjoy the delicious fiber beverage it creates. 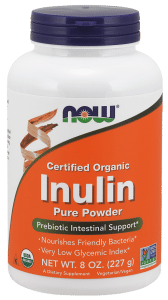 A single packet (which is a single serving) provides a solid 2-gram dose of pure inulin — one of the most well-researched prebiotic compounds on the planet. Of more than 250 reviews on Amazon, over 60% have been five stars, with consumers overwhelmingly happy with the results they have seen from this product. 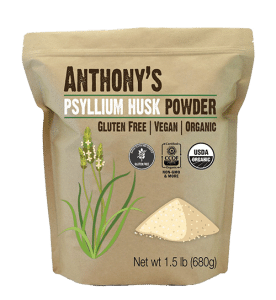 Our second placed prebiotic supplement is another potent psyllium husk powder: Anthony’s. Very similar to the psyllium husk powder by NOW Foods, this powerful prebiotic comes in powder form. This means it can easily be mixed in with any of your favorite liquids and can be taken at any time of day. The guys over at Anthony’s recommend a single teaspoon serving of 4 grams once per day to get you started! This particular option has a touch under 300 reviews at the time of writing, of which a whopping 68% are more than five stars. Most people appear to be very happy with the impact that this great option has on digestive health, typically reporting almost immediate results. And now onto my favorite prebiotic supplement for weight loss… *drumroll please*… NOW Foods Organic Inulin Powder. This great option offers the potent prebiotic compound inulin in powder form. It can, again, be mixed easily with your favorite drink at any time of day. NOW Foods suggest taking a single level teaspoon once per day to cover all of your prebiotic needs. This equates to about 3 grams and should be more than enough to get your gut in order and give your weight loss a kickstart. While I love that this great supplement is both affordable and potent, it is important to note that customers love it as well. In fact, more than 200 people have reviewed this product on Amazon (at the time of writing, anyway) and around 80% have given 4 or more stars! If you have been training hard and paying close attention to your diet, but still struggling to lose weight, then it might be time to explore some other avenues. As has been the case with so many of my clients, a good quality prebiotic might be a great place to start! With a growing body of evidence suggesting that prebiotic compounds can heal your gut and put your body in a better state to lose fat, they truly are a perfect choice! Don’t miss this one: What is the Best Diet for Weight Loss? An Exercise Expert Weighs In! Next articleDigestive Enzymes vs Probiotics: Which One is Better for Your Digestion?